For additional information about this book, visit the website www.dillingerbook.com. Armed with a Tommy machine gun, a crooked smile, and a gang of misfits, John H. Dillinger succeeded in planning and executing bank robberies throughout Indiana and across the country, making him the riches and most notorious criminal of his time. Nicknamed ''Jackrabbit'' for his ability to hurdle over bank teller walls, he also escaped from impossible odds: being surrounded by police, or locked within the concrete and steel of a jail cell. Pursued by the FBI for most of his adult life, he was forced to find secret hiding places for himself . . . and his money. Two farm boys from Indiana are ready to clean up what Dillinger left behind. Their minds filled with local stories and folklore, they are determined to confirm suspicions that Dillinger once hid out in the woods in which they live. 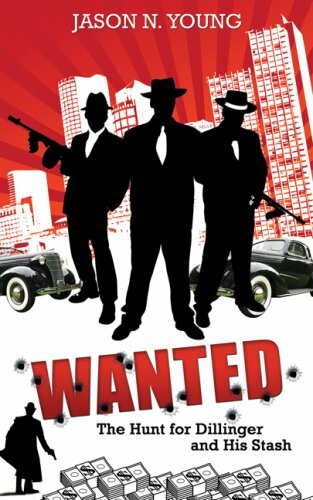 They must trespass, conspire, and rely on each other to survive in their search for Dillinger's legendary stash. First time author Jason N. Young is a sixth grade teacher and coach and Northside Middle School in Muncie, Indiana. Other than visiting with friends and family, Young enjoys fishing, gardening, competing in sports, cheering on the Indianapolis Colts, and spending time with his dog, Roxanne. He resides in Muncie, Indiana.